Samsung has officially added a section of cutout wallpapers to the Galaxy Themes store for the Galaxy S10e, Galaxy S10, and Galaxy S10+. People were quick to design wallpapers that creatively hide the camera cutout on the home screen after the Galaxy S10 went on sale, and Samsung is now letting them put those wallpapers up on its theme store. Most of the cutout wallpapers in Galaxy Themes right now seem to be paid options and can’t be demoed before you purchase them. It’s never a bad idea to support those who put in the hard work to create the wallpapers, themes, and icon packs you see in Galaxy Themes, but if you’re not one to spend money on such things, you will have to wait for free options to show up. In fact, it’s better to wait even if you’re okay with paying, as there aren’t a lot of wallpapers – free or paid – available to choose from at the moment. Have a Galaxy S10e, Galaxy S10, or Galaxy S10+? Open the Settings app on the phone and tap Wallpapers and themes. You should see a section for cutout wallpapers by scrolling down a bit. Tap a wallpaper you like and then hit the Buy button to purchase it. You’ll need to login to your Samsung account before you can make the purchase. 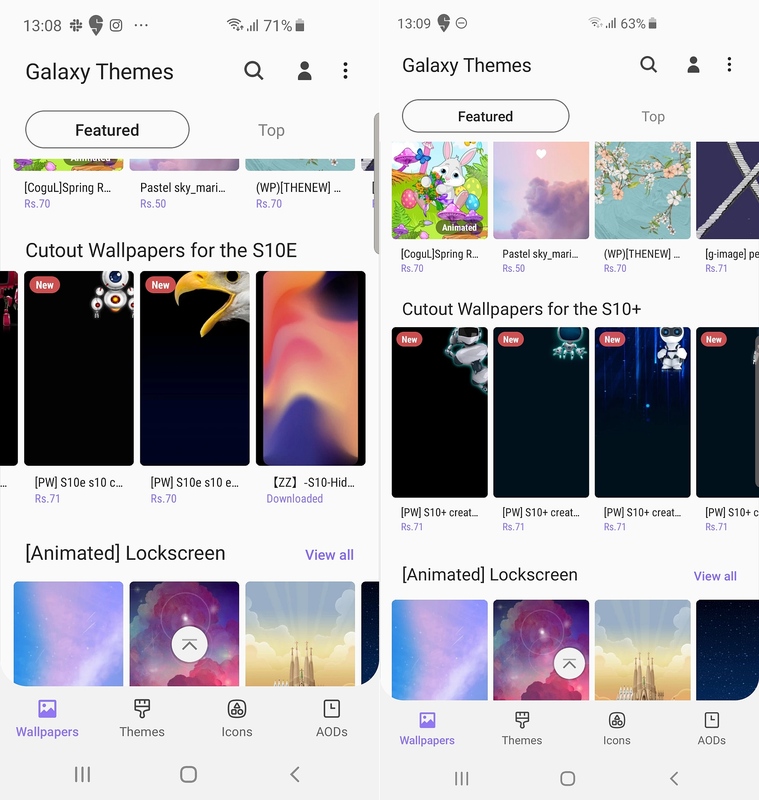 Remember that Galaxy Themes has no refund policy, so once you’ve paid for a theme or wallpaper, you can’t get your money back if you don’t like it. You can also check out this Reddit thread for some free cutout wallpapers. don’t think it’s available for all countries yet. How to get it on my S8/S9 ? Why are people paying for wallpapers?! I think Samsung will be sued again like it was with watch faces. Best to make one for yourself.